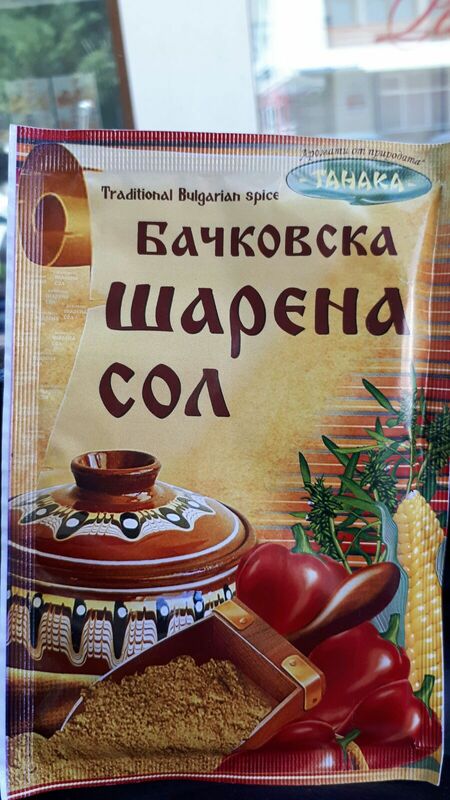 бачковска шарена сол (Bachkovo Sharena sol) is a traditional spice mix used extensively in Bulgarian cuisine. Its most typical ingredients are dried summer savoury, paprika, and salt. 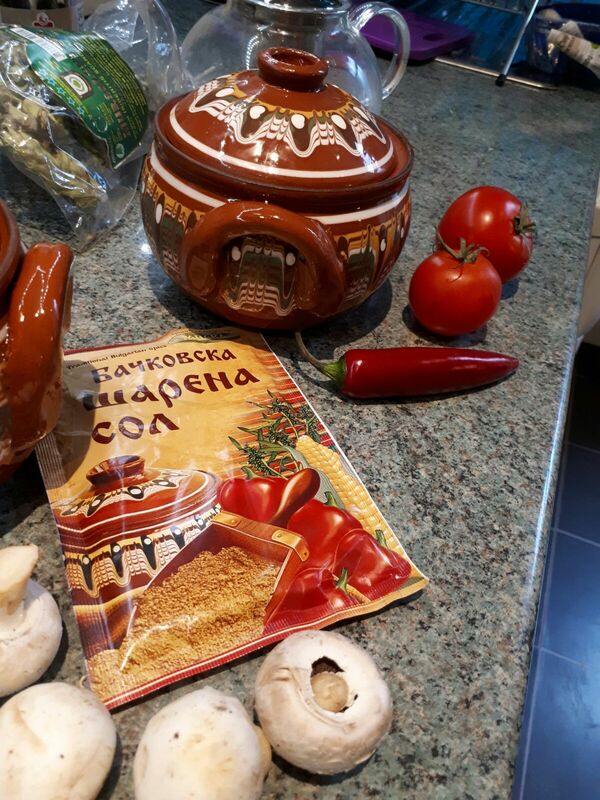 Our шарена сол like all our products, comes from the Rhodopi mountains, this one from Bachkovo, famous as the home of Bulgaria's second largest monastery.